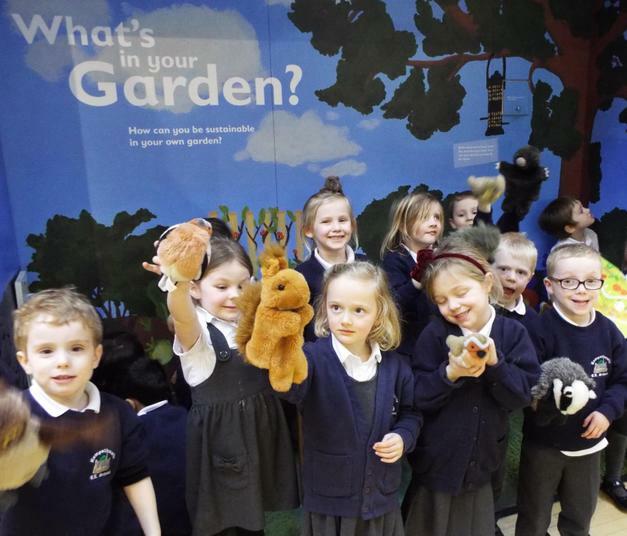 Dinosaurs became reality as our children explored all things extinct at the Yorkshire Museum! 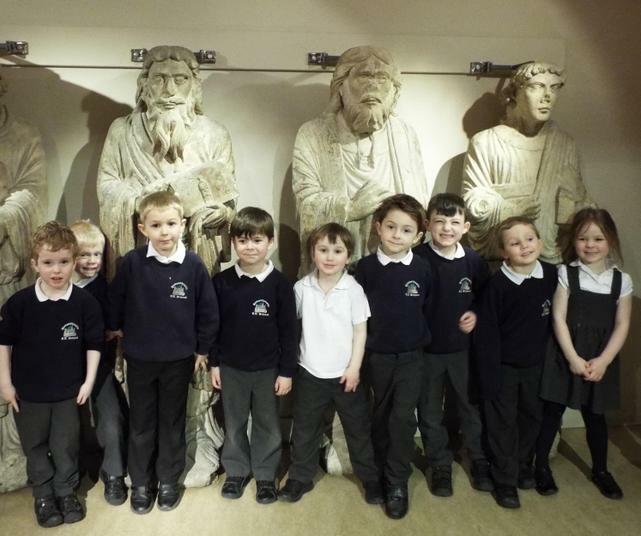 Reception, Year 1 and Year 2 had a super day in York, learning about and experiencing pre-historic life. 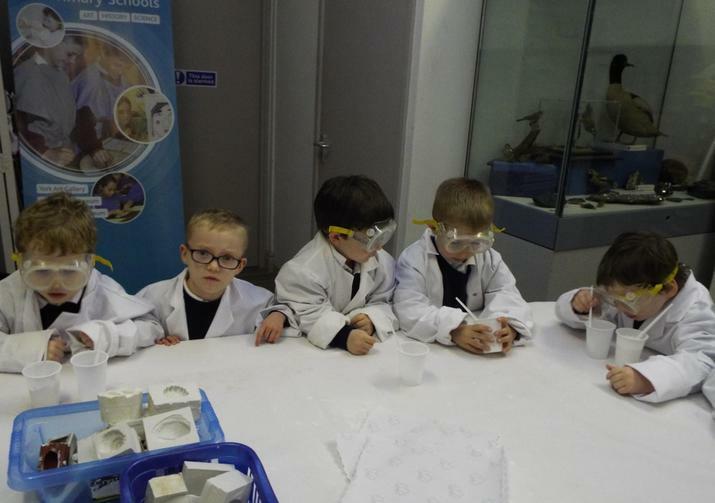 We took part in workshops to learn about fossils, and the difference between dinosaurs and ancient reptiles. 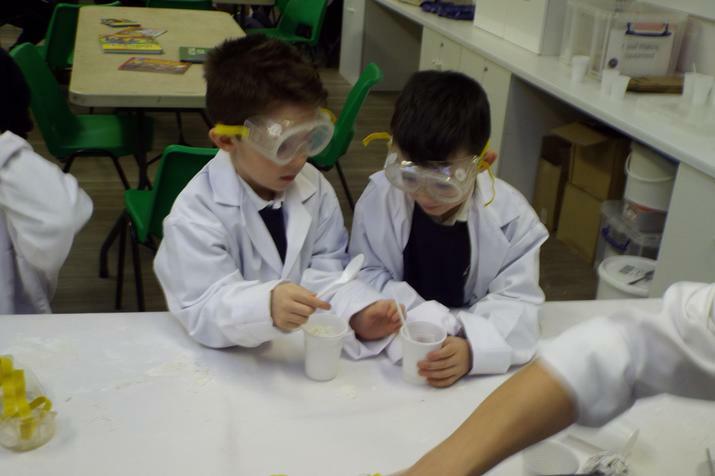 As 'palaeontologists', the children searched for fossils and created their own out of plaster of paris. 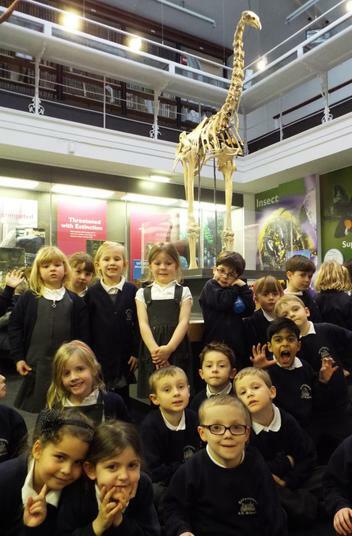 We also completed puzzles, read books, made playdoh dinosaurs and had a race on dinosaur stilts! 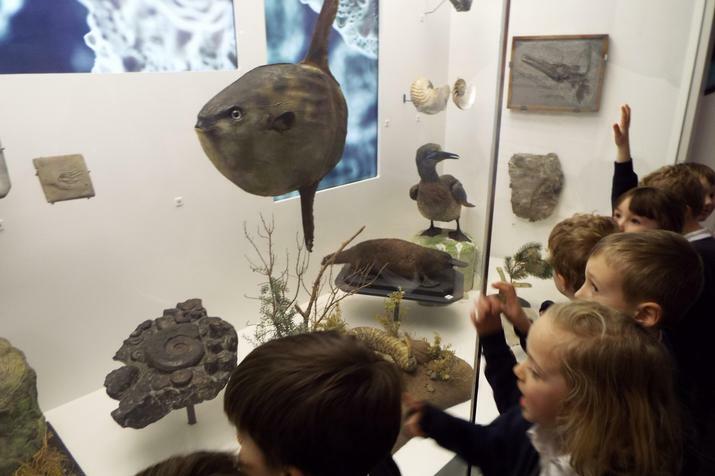 In the museum, we saw lots of interesting extinct animals and learned about skeletons and more fossils. 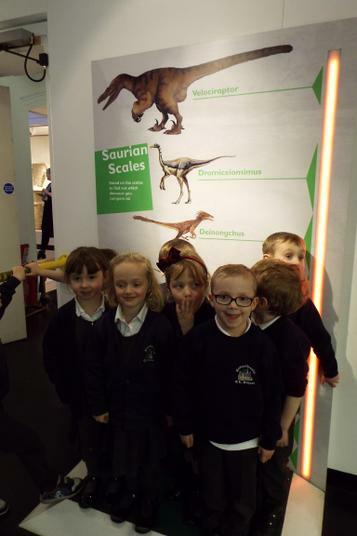 We weighed ourselves against a dinosaur and found out it took 8 of us to balance a Velociraptor. 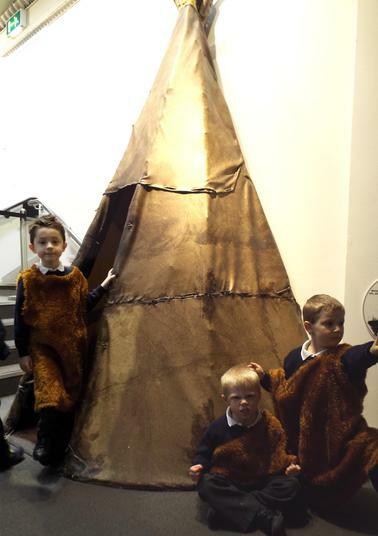 We even dressed up as cave people from the stone age! Have a look at more of our photos from the day in the Gallery.